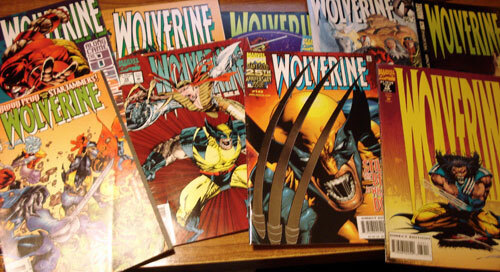 GUEST ARTICLE: I had been dying to watch the Wolverine movie for a long time. However, it came out at the same time as Star Trek. Word of mouth from my friends convinced me that this was a better movie to see. There were a lot of mixed reviews at the time from die hard X-men fans and movie goers new to the X-Men franchise. As time passed, other movies came out which piqued my interest, so I never ended up seeing Wolverine. I intended to wait for the DVD release. A fortuitous meeting with Neerav led me to Fox Studios to preview the X-Men Origins: Wolverine release on Blu-Ray & DVD as he had a media pass but was too busy to attend the screening. I must declare my interest – I am a huge X-Men fan. I grew up with two younger brothers who were obsessed with it. In my house, we’ve got a bookshelf full of X-Men comics, original cartoons on VHS, and figurines from Japan. I love X-Force and X-Factor as well! As the title suggests, the movie goes back to Wolverine’s origins – from when he was a kid to how he became Wolverine. I was actually confused at the start of the story because I thought I knew it pretty well having read the comics. I knew about his healing power, the Weapon X experiment, fighting in the military and how he’s much older than he looks. However, the comics do not go back that far! I love Hugh Jackman as Wolverine. When he’s angry and has his claws out, he’s one angry man mutant. He shows a range of emotions from compassion to berserker rage. He’s easily one of my favorite characters in the X-Men series, so I was really looking forward to a movie dedicated to him. The scene with him rising from the pool screaming after the adamantium bonding has to be one of the highlights. We also find out about his family and relationship with his half brother, Victor Creed. I can’t call him Victor because he’s really Sabretooth. Liev Schreiber definitely is scary as Sabretooth. He’s lost all his humanity. He displays no mercy, kills on sight, and stalks the remaining members of Team X. The animosity and the battles between him and Wolverine are intense. I also like the other X-Men characters in the movie, and how they are weaved in. X-Men fans will love characters such as Gambit, Cyclops, Blob, Deadpool and Professor X’s cameo. I was really looking forward to Gambit and his explosive abilities. The fight scenes with Gambit were very cool. However, I thought Gambit was supposed to be thicker Cajun accent? They must have let that one slip! The mutant Deadpool is insane! He’s an amalgamation of different mutant powers, genetically created by the government. A kind of super mutant. The fight scene with Wolverine and Sabretooth is really worth watching. I watched X-Men Origins in Blu-ray format and it felt like watching a cinema quality movie. The colours seemed a bit pale but that could have been due to the screen. There was a scene where they fell through some glass, and it felt like the glass shards were jumping off the screen! Blu-Ray is much higher quality than regular DVD. Overall, I liked the movie and rate X-Men Origins: Wolverine movie 7.5/10 . There were some awesome special effects and fighting scenes, particularly the one with Deadpool. However, I wanted more out of the story and the ending did leave me hanging. I felt that it did not end right as I was expecting more! I presume this could be the intention of origin/prequel type of movies. There are a lot of special features packed into the DVDs with (appx 2 hours) including interviews with Stan Lee & Lee Wein (creators), featurettes, directors and producers commentary. I’m a fan too.. The movie is not as good as expected unfortunately.. I was a bit disappointed. I haven’t seen this but Hugh Jackman is great. How funny was he at the Oscars? Good movie but not great, small on special effects and thin plot imho and Hugh Jackson aint all that either.